Aviation Updates Philippines - Budget carrier, Cebu Pacific Air, launched its maiden Kuwait flights on September 2 flying three times a week. Kuwait is the airline's second Middle East destination. Besides Kuwait, the airline will also launch non-stop flights to Sydney on September 9 and to Dammam on October 4 utilizing its 436-seat Airbus A330-300 aircraft. In a press release that was published by Cebu Pacific Air on their website, the airline's flights from Manila to Kuwait depart at 9:30PM (Manila time) and arrive in Kuwait at 3:10AM (Kuwait time) every Tuesday, Thursday and Sunday. Flights from Kuwait to Manila depart at 4:40AM (Kuwait time) and arrive in Manila at 7:20PM (Manila time) every Monday, Wednesday and Friday. Cebu Pacific is the only carrier to operate flights between Manila and Kuwait. On-board the Airbus A330-300, which is currently being used in long-haul and short-haul flights, passengers will be able to access CEB's In-flight WiFi. In addition, passengers may also opt to purchase baggage allowance, and seat selection. The inaugural flight was sent off by Cebu Pacific's Vice President for Corporate Affairs, Jorenz Tanada, Ambassador Waleed Ahmad Al-Kandari of the Embassy of the State of Kuwait, Department of Foreign Affairs Executive Director Ricardo Endaya, and Department of Tourism Assistant Secretary Benito Bengzon Jr, among other esteemed guests. "We are proud to offer our kababayans, the fastest, most affordable way to come home. Through Cebu Pacific's trademark low fares, and direct, non-stop service, we hope that they get to enjoy being around their loved ones more often," Cebu Pacific's General Manager for Long Haul Division, Alex Reyes said. 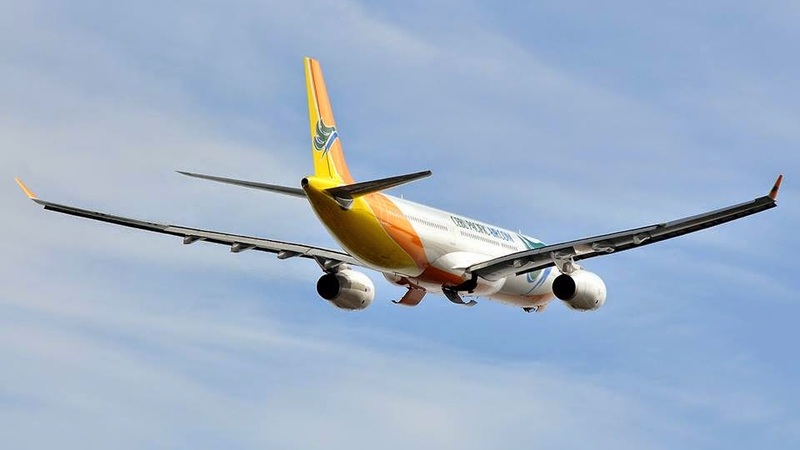 The introduction of new flights will enable passengers to connect to Cebu Pacific's extensive route network and to the Philippines' popular tourist attractions in Cebu, Palawan, Boracay and more. Cebu Pacific will only be the airline to launch flights Kuwait with over 180,000 Filipinos living there. Cebu Pacific's 51-strong fleet is comprised of 10 Airbus A319, 28 Airbus A320, 5 Airbus A330 and 8 ATR-72 500 aircraft. It is one of the most modern aircraft fleets in the world. Between 2014 and 2021, Cebu Pacific will take delivery of 11 more brand-new Airbus A320, 30 Airbus A321neo, and 1 Airbus A330 aircraft.